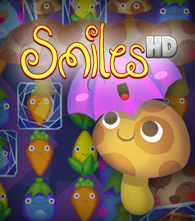 Smiles HD has reinvented the matching game. With incredibly fun game modes, adorable themes and awesome achievements you’ll easily find yourself hooked. Spin, swap and drop your way to huge combos and bigger scores. GameTree TV Developer's Choice Contest Winner!